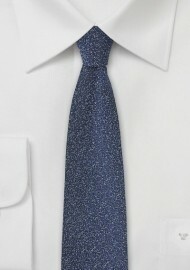 This textured skinny tie features a deep navy palette accented with speckles of tiny silver dots. This effect is created by using a so-called melange silk fabric which twists multiple colored silk threads into a single yarn which is then woven into this stunning looking fabric. 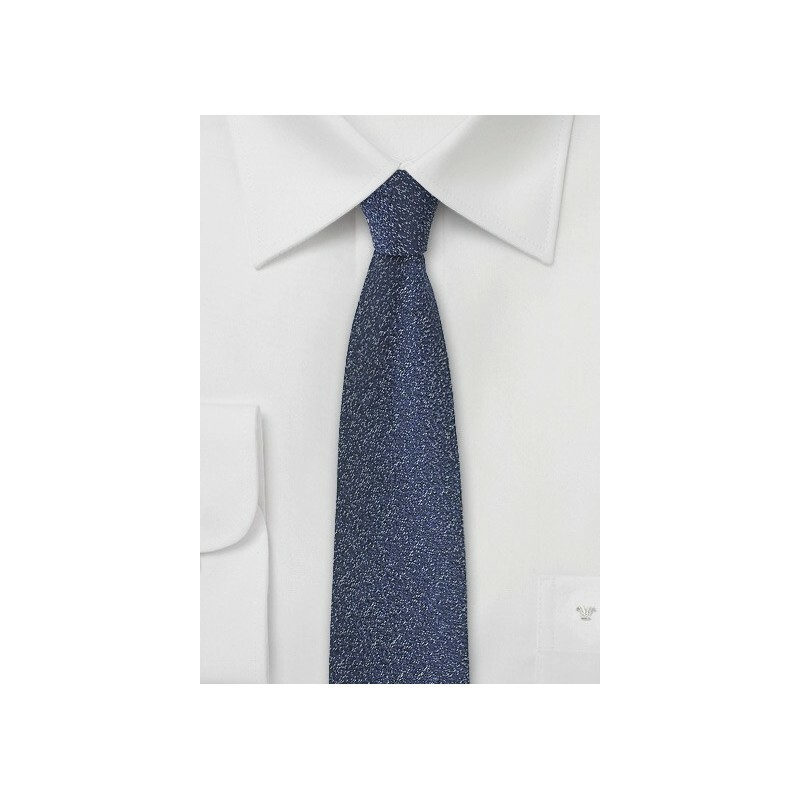 If you are seeking something uniquely modern, but at the same time want a tie that is easy to mix and match to all your suits, then this is the tie for you. Handmade from 85% silk and 15% wool by designer Blackbird. 85% Silk, 15% Wool | Length: 58", Slim Width: 2.75"